Amydrium humile this is a very rare plant. I was fortunate enough to get one from a botanical garden years ago. It is very slow compared to some of the similar species. Each leaf is very round and heart shaped. 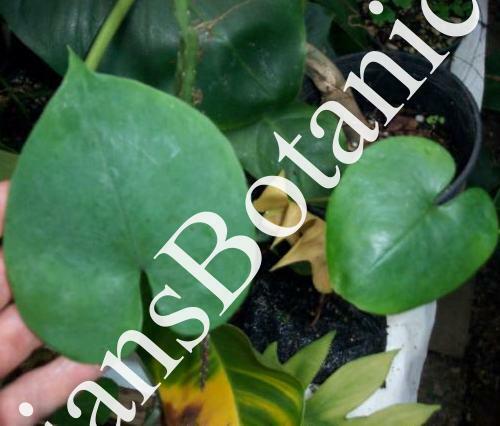 The plant looks to climb or hang and once mature will produce a spath and round spadix. Very odd and rarely if ever offered. Good as a house plant terrarium plant or tropical garden. Extremely limited.